Want to know why there was no post about Ottawa Cinema for June?There simply was not that much good stuff coming out, so yeah, hope you stayed at home. I am happy to report that there are at least two films that I’m excited to see this month. Before revealing what they are, you must prepare to answer the question “What’s better than one Yuen-Woo Ping film?” The answer of course, is two of his films and one isn’t the cut-up Iron Monkey print! Rejoice! Note: Both films are not covered in thick mist as posters suggest. After months of discussing and possibly dreading it, True Legend finally debuts in Ottawa. I’ve heard so much mixed reviews on this one but the trailers have me hooked, especially after seeing it on the big screen. As a nice bonus, on July 29th, I’m blessed enough to witness Yuen Woo-Ping’s 1993 film Heroes Among Heroes aka Beggar So aka Fist of the Red Dragon. This is Donnie Yen in his prime and how often do you get the chance to see classic early 90s martial arts films on the big screen? I’m there! Before I go on, a big thanks to the The Heroic Sisterhood on Facebook for digging up the Heroes Among Heroes poster. 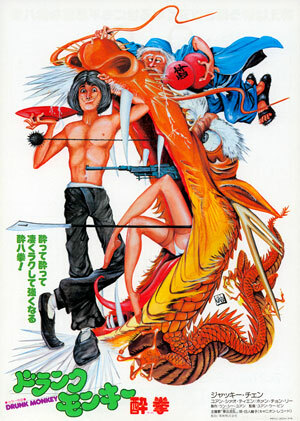 In return, I’ve included some more Yuen-Woo Ping posters here for your viewing pleasure. Use tables, plants, and fans as your weapons and feast your eyes on some classic and not-so-classic Yuen-Woo Ping joints. Directed by Yuen-Woo Ping and starring a very young Jackie Chan: Drunken Master is one of the most popular films of either stars. 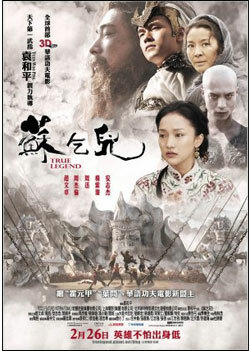 This poster is one of my favourites as the pictured dragons diet is something you should really see close-up. Despite my impression that the dragon appears to have a giant worm lodged between his eyes, this is great poster art. 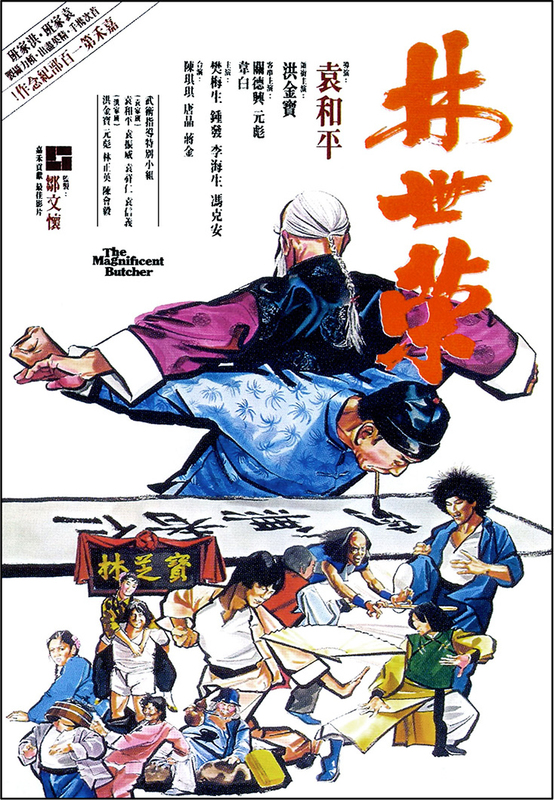 As for the film, some prefer the 1990s follow-up, Drunken Master II as this seventies film is not as fast paced, but i’d still recommend as the first stop in investigating both Jackie’s and Yuen-Woo Ping’s output from the 1970s. The history of this film confuses me. 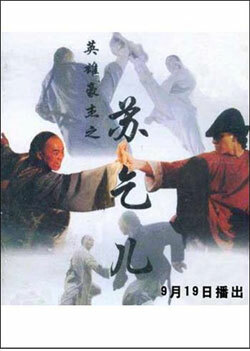 Sammo Hung and Yuen-Woo Ping are credited as the directors on the IMDb, but the Hong Kong Film Archives (HKFA) refer to only Yuen as the director. The release date is also troubling as IMDb says 1980, but the Hong Kong Film Archives say it was released on December 12, 1979. Regardless of production history, Magnificent Butcher is a blast despite it’s low budget. I’ll let the trailer speak for itself. The film’s so tight that I assume Slayer are purposely making direct reference to it in their thrash classic “Angel of Death”. Directed by Sammo Hung and starring fricking everyone. Even people who aren’t actors. Sammo’s Vietnam war film doesn’t really get as heavy as Woo’s Bullet in the Head, but this is a completely different kind of film boasting a star-studded cast. How star-studded? Even action directors Corey Yuen and Yuen-Woo Ping are popping in to say hello in smaller roles. 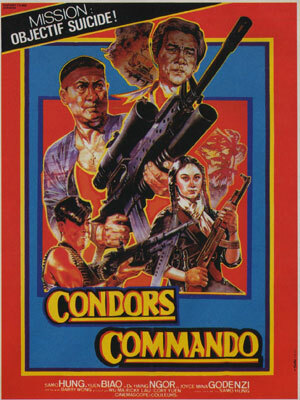 To mix it up, I’ve included the bizarre French poster for Eastern Condors. Sammo is actually as thin as he is represented here, but the choice of colors and drawing style make this poster resemble an old Atari game package to me. WEIRD. Eugh. Do I have to tell you this is bad? Black Mask 2 is a career low for…everyone involved. Well maybe not everyone, Traci Lords is in this, and I guess she can flip a coin to figure out what her career low can really be. 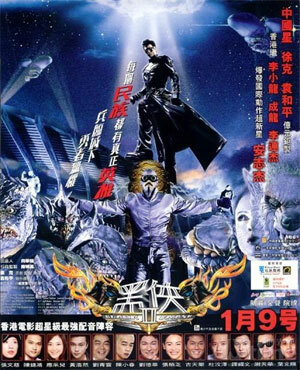 This film had people nearly writing off director Tsui Hark and even Yuen Woo Ping’s action choreography can’t save it here. Some of the WORST CGI you’ll ever see on film. I’m struggling for words here, but I mean…did you see this poster? What on earth would make you want to sit through this? That’s enough posters. Yuen-Woo Ping’s career was thankfully not in a slump after Black Mask 2 as he was busy making every other filmmaker in both Hollywood and Hong Kong look like masters of action choreography. With some of his better films mentioned above, I suggest you investigate both of Yuen’s whether or not you can make it to these screenings as Yuen Woo-Ping’s name needs to be spread!